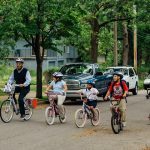 Last month the League of American Bicyclists released their latest list of Bicycle Friendly Communities, and Kansas City, MO was conspicuously absent from the list. KCMO has been a Bronze Bike Friendly Community for several years, and the designation was up for renewal in 2015. According to the League, the City did not submit an application for renewal, a very basic task that cities need to do every four years. This is very disappointing news and a big setback for the City’s goal of becoming a Platinum Level Bike Friendly Community by 2020. BikeWalkKC worked with the Public Works Department and other city officials during 2015 to assist in the renewal process, but we do not know why Public Works chose not to apply for renewal. We have asked for an explanation on the situation, but as of this posting we have not received a response. If you are disappointed by this news and would like to contact the city, you can email mayor@kcmo.org. Meanwhile, Shawnee, KS and Lee’s Summit, MO remain the region’s other Bike Friendly Communities. 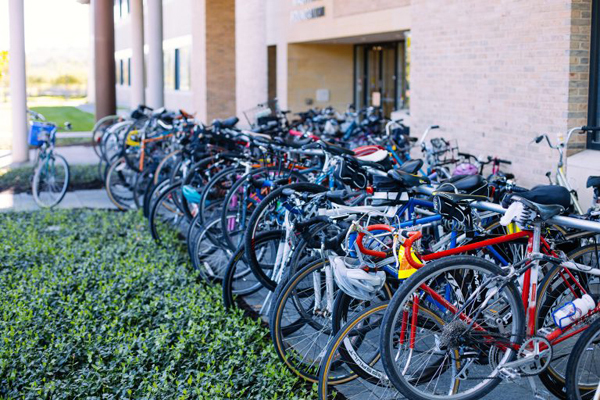 UMKC is a Bike Friendly University, and several local companies are designated as Bike Friendly Businesses. 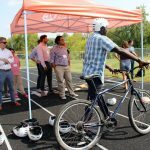 Learn more about Bike Friendly Communities in the KC region. Editor’s note: This blog post originally appeared on BikeWalkKC’s website. It has been republished here with permission.